IT'S TIME TO GEAUX ON VACATION!!! UNIT HAS JUST BEEN RECENTLY UPDATED WITH NEW FLOORING, PAINTING AND SOME FURNISHINGS!! Welcome to your vacation DESTINation! 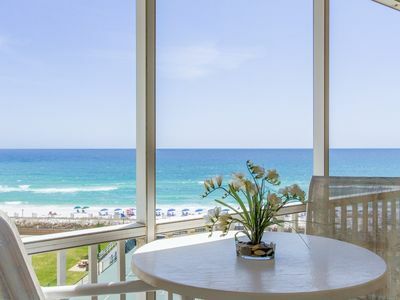 A tropical paradise, The Palms of Destin, is an almost new resort that has many options to make your vacation enjoyable. 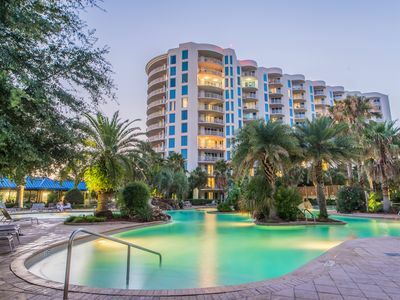 Relax at the large lagoon pool, go to the best beaches that Florida has to offer, shopping, dining and the list goes on and on!!! 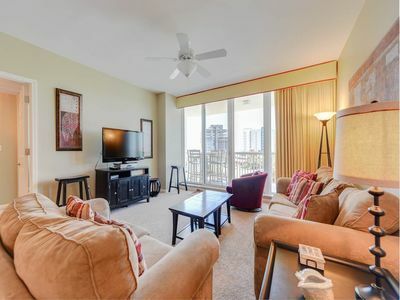 Our unit is a 12th floor penthouse non-smoking unit (#11209) with awesome sunset and ocean views right from your balcony! A Junior 2 bedroom Suite, each having it's own full bath for privacy. So your on a budget, the kitchen has everything you need if you decide to dine in and relax for an evening. 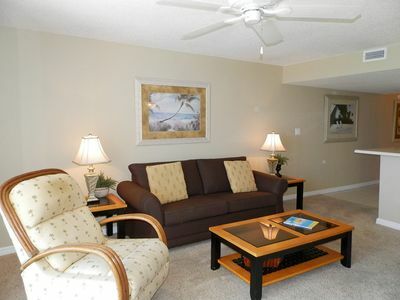 Enjoy our flat screen televisions located in the living room or in your bedroom. It's family night...watch a DVD or see what the Palms has to offer for your enjoyment! 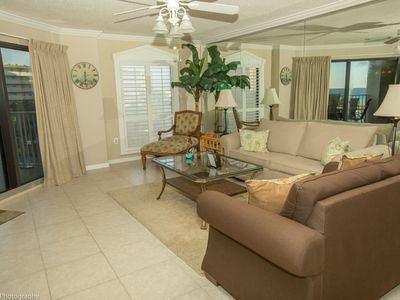 This resort has all the comforts of home and we know that you will be pleased with The Palms of Destin. 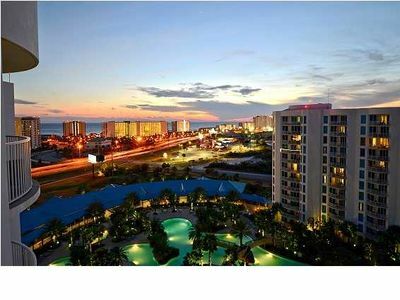 The Palms of Destin now has a expanded shuttle service with longer hours of service! 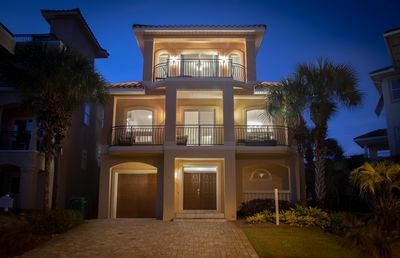 It has a set schedule and the stops include Harborwalk Village, Destin Commons Shopping Center and the public beach access across the street from the Resort. This service is optional, but we have included it in our rates. With the new drop off point with the shuttle, no more worries about parking! 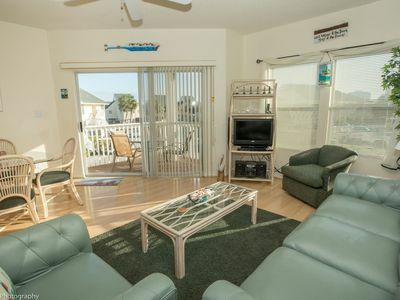 In addition, there are beach chair, umbrella and various water sport rentals available behind The Back Porch. Another great thing is The Sand Bar, which has been recently updated, has awesome drinks and food available. 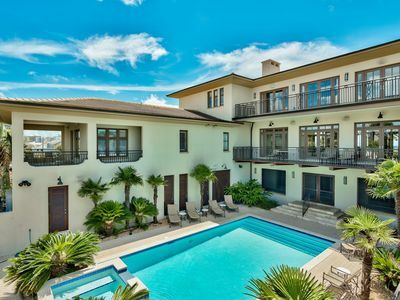 This 11,000 sf, 259,000 gallon pool is DESTIN'S LARGEST LAGOON POOL! It features 5 dancing waterfalls, walking bridges & fun for all ages! There is also a 21,000 gallon heated pool, children's splash area and a whirlpool spa for your enjoyment. Go ahead...plunge in! Our state of the art fitness center features 2,265 square feet of fitness equipment that is incredibly quiet and easy to use. Customize your workout with the award-winning line of Life Fitness cardio equipment including elliptical cardio treadmills, cross trainers, bikes and summit trainers, each having a personal entertainment system. 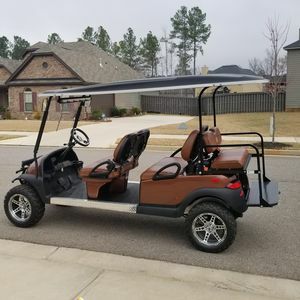 The center also includes Body Master strength equipment that provides user friendly gas assisted seats for quick and easy adjustments. 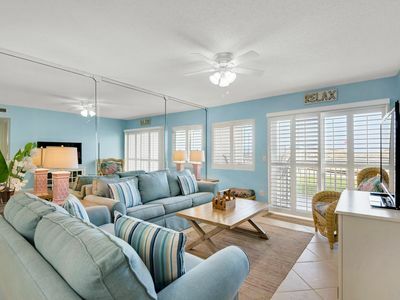 The Palms of Destin offers full sized basketball courts and two lighted tennis courts. Forgot your rackets, no problem! Complimentary equipment is available from guest services in the resort lobby. Bring the kids! Children of all ages will enjoy our newly built, colorful playground! 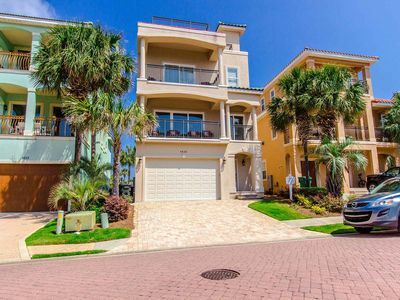 The Palms of Destin is centrally located within walking distance of many excellent and fun restaurants. Newly opened Prime'd At The Palms, Joe's Crab Shack, the Back Porch, Hooters, and Ruth's Chris Steak House. Wal-Mart and a shopping center with a Dollar Tree are conveniently located right next door! PRIME'D AT THE PALM is our newly opened restaurant and bar located on site. We are still waiting for all of the menus, but once fully operational, they will have breakfast, lunch and dinner menus. They will have pool side service and room service available. Plans are to have a JAZZ BRUNCH on Sundays with a Jazz band playing! What are you waiting for? 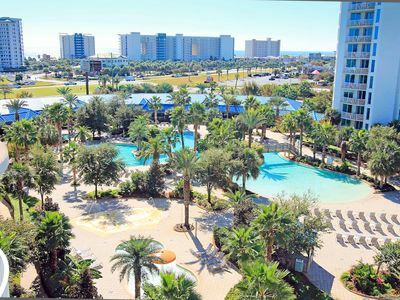 Escape to The Palms of Destin Resort and Conference Center for an experience that will last for a lifetime! We guarantee that you will be back!! 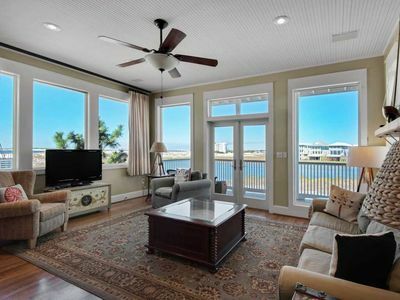 CANCELLATION POLICY: Please see cancellation policy set by VRBO/HomeAway/Expedia. YOU MUST BE AT LEAST 25 YEARS OF AGE TO RESERVE THE UNIT AND BE PRESENT DURING THE ENTIRE STAY. ID'S ARE CHECKED AT CHECK IN. NO REFUNDS! NO SMOKING, VAPING OR DIPPING IS ALLOWED. ABSOLUTELY NO ANIMALS ARE ALLOWED. WE HAVE FAMILY MEMBERS WHO ARE ALLERGIC TO PET DANDER. 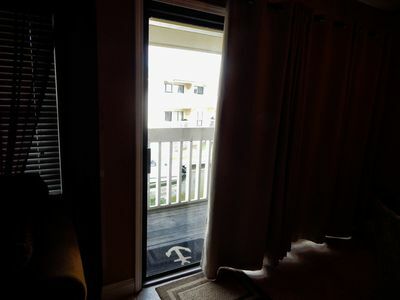 IN ADDITION, THERE ARE GUESTS WHO SPECIFICALLY LOOK FOR UNITS THAT DO NOT ALLOW PETS FOR THIS VERY REASON. 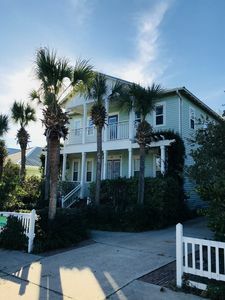 ALSO, THE PALMS OF DESTIN DOES NOT ALLOW GUESTS TO HAVE PETS ON THE PREMISES AS IT IS AGAINST THE HOA RULES AND REGULATIONS. THERE IS A POSSIBILITY THAT BEDDING COULD BE DIFFERENT THAN PICTURED. IN ADDITION, FURNISHINGS ARE UPDATED OR ADDED AS NEEDED. FOR EXAMPLE, WHEN FURNITURE BECOMES WORN OUT, LIKE THE SOFA, WE WILL REPLACE IT WITH NEW A NEW ONE. Silver Shells L0504 - Don’t miss your spring vacation. Book now! Family pricing...Kool Beanz with 4 Bikes & Beach Set Up Too !!!! 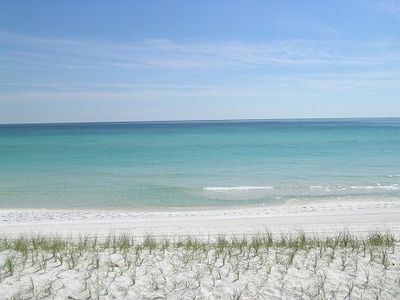 Beachfront Condo in Destin ~ Amazing Gulf Views ~ Great Amenities! 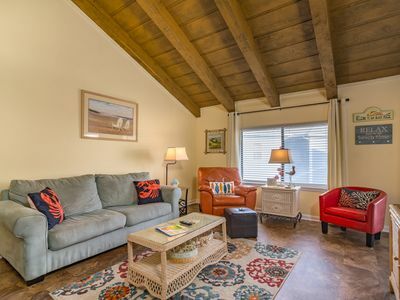 Bella Vista - Booking spring vacays, now! Great for large groups, events up to 40 guests. Huge decks, pool, and game room! 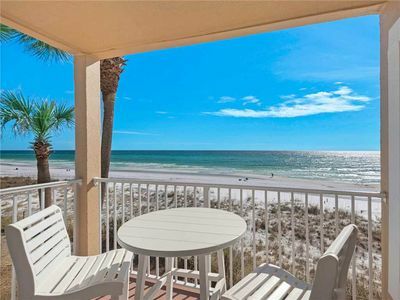 Hol Surf & Racquet Club 102-2BR☀OPEN Apr 21 to 24 $733!☀GulfFront-Ground Floor! 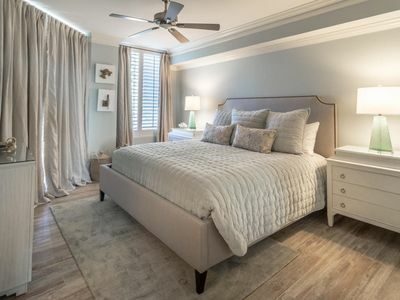 Destiny By The Sea - Beautiful Private Community - Short walk away from Gulf of Mexico! 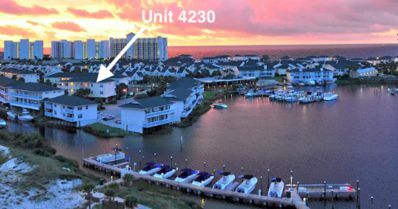 Condo #4204- 1 Bedroom Canal that's perfect for a family-friendly getaway! St. Maarten 508 - The most Exquisite Condo in the building..